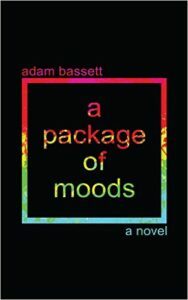 Adam Bassett’s A Package of Moods is a speculative fiction novel set in a future where a pharmaceutical company has distilled moods into a nicotine patch-like form. Through a series of chapters, each focusing on a new character, Bassett’s novel explores various individuals’ lives and how they intertwine and are impacted by the new mood drugs. I wanted to like A Package of Moods—the premise was intriguing and borderline dystopian—but it never quite delivered for me. I feel a glaring issue is that the novel attempts to cover more characters and ground than its short length lends itself to. There are 11 chapters, including the epitaph, and each chapter of the novel focuses on a new character and their story. All the characters are connected in one way or another—a nurse from early in the book appears at the end briefly to care for another sick character, the owner of the coffee shop where one character works appears later as the wife of another character, etc.—and the main character of one chapter becomes a background character in another (or disappears entirely). This results in a very surface-level feeling to the story. Other books have demonstrated that it is possible to have a large cast of characters and tell the story from different perspectives—the wildly popular series A Song of Ice and Fire (adapted for televison as A Game of Thrones) is an obvious example—but the length of the book must allow time to develop such a large cast and give the reader enough time with the characters. A Package of Moods, being a bit over 50k words in length, just does not have the time to develop the characters and connections it introduces. To take a break from writing Part II of my analysis of Robert Rodriguez’s The Faculty, I thought I’d toss out another recommendation for those looking for a quick read. Today’s reading rec is ” ‘— All You Zombies —’ “ by Robert A. Heinlein. Published in 1959, ” ‘— All You Zombies —’ ” is the classic science-fiction time travel paradox. Initially, the story seems mundane enough at first: it is set primarily in a bar as one character tells another his life story. But, as time travel stories tend to do, things are not quite what they seem and what begins as a simple, straightforward tale ends up bending through time and space (and the reader’s brain as they try to follow along). 1998 saw the release of The Faculty , directed by Robert Rodriguez. Recognized as a mix of classic sci-fi films—including Invasion Of The Body Snatchers and The Thing—and in the self-aware style of Scream, The Faculty explores the invasion of a high school by alien beings who first assimilate the teachers, then the student body. The Faculty touches on a fear of conformity and assimilation into an inauthentic life. 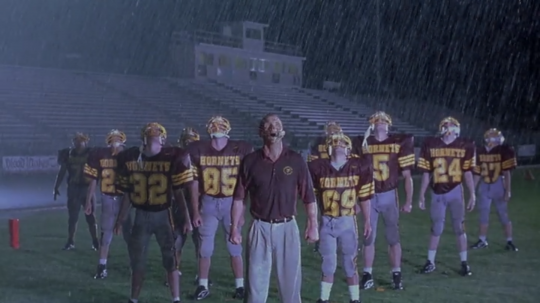 The film is set in a high school, perhaps the most appropriate setting for such themes. High school is widely recognized as the time in which adolescents begin exploring different groups in order to define themselves as individuals. Wrapped up in this phase is the fear of conformity, of succumbing to peer pressure and placing the will of the group over the individual. 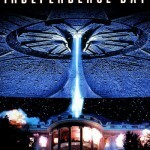 For The Faculty, this fear is symbolically reflected in the threat of assimilation by aliens. 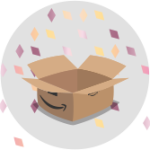 Last week, I made an offer on reddit’s /r/selfpublish, calling for submissions of self-published Kindle short stories from which I could pick up to 5 to review. 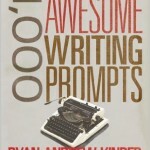 A part of my criteria for the stories I chose was fewer than 5 reviews on Amazon. As you might know, reviews and recommendations are important for getting your work noticed. Not many people want to gamble their money on something with very few reviews. And no reviews? Forget about it. I wanted to offer other authors the chance to get one of those initial reviews. A bit about my process: I read what each author submitted, then used’s Amazon’s Look Inside to preview the first page or two of the story. Based on my interests and what I read, I tried to pick the stories that I thought I would most like. I read the stories in the order I purchased them, highlighting and taking notes within the Kindle text as I went. After I finished reading, I wrote my initial impression and some more substantial notes before moving on to the next story. Finally, I wrote my reviews over the course of a couple days, taking my time to balance and polish each. 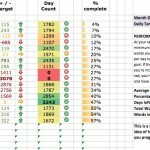 I wanted to highlight positive aspects as I found them, but I also wanted to be honest. So, without further ado, here are the five Kindle short stories I chose, and a summary of my reviews. This is the final review in a week-long review series featuring Kindle short stories from authors from reddit’s /r/selfpublish. 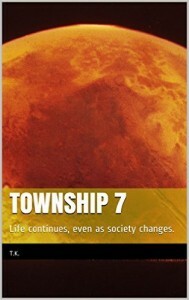 The longest of all the stories chosen, T. K.’s “Township 7: Life continues, even as society changes.” [sic] is an exploration of global climate change and transhumanism as depicted through a report penned by an anthropomorphic purple dinosaur. Yes, the main character is an anthropomorphic purple dinosaur named Rex. Since this could be a decisive factor for potential readers, I emphasize this upfront because—at this time of this review—the book’s description and other reviews don’t mention this. Rex is one of many Critters, a new form of mankind appearing after great advances in cybernetics make their existence possible. They are humans transplanted into an exoskeleton that morphs to match their inner “second self.” This half of the plot is very reminiscent of furries and what that group might look like with the technology to make fursuits a real extension, or replacement, for a human body.